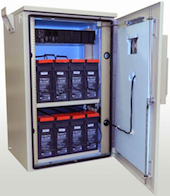 Modular Energy Storage Battery Storage, Large Scale Battery Storage new modular design Plug and Play IQUPS Technology that lets Clients like Hospitals, Airport, Industries, and Utilities scale up as is needed. Solar Powered Modular Transportable Airport, Modular Energy Storage Battery Storage, Large Scale Battery Storage new modular design Plug and Play IQUPS Technology scale up as is needed. Solar Powered Shipping Containers Modular Transportable Hospital - EMS, Modular Energy Storage Battery Storage, Large Scale Battery Storage new modular design Plug and Play IQUPS Technology scale up as is needed. 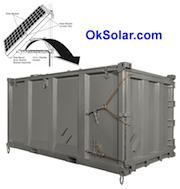 Shelter for Disaster Refugees Solar Powered Transportable Shipping Container. Secure and quickly deployable to the field or war zone. Hospital - EMS, Modular Energy Storage Battery Storage, Large Scale Battery Storage new modular design Plug and Play IQUPS Technology scale up as is needed.